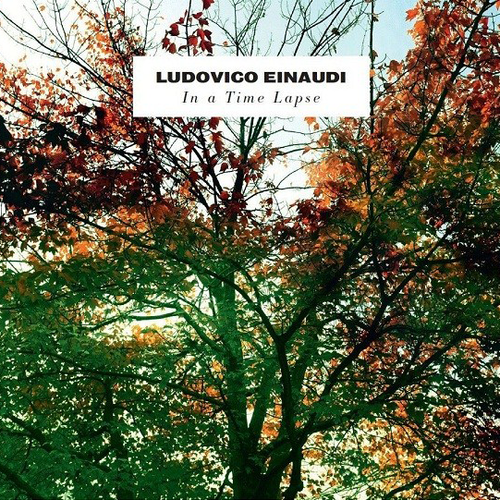 ‘In A Time Lapse’ is the latest studio album by Italian composer Ludovico Einaudi. Following on from his 2009 album ‘Nightbook’, we see Einaudi produce a new album, which seems to incorporate many different elements from all of his albums. The album is gorgeously ambient, with a few surprises thrown in from time to time which aren’t completely unknown to Einaudi’s music, but all the same it can be somewhat unexpected, yet highly enjoyable. I feel that this new album is a big improvement from his previous album ‘Nightbook’. Whilst it was an enjoyable album, it just didn’t seem to have the same depth that his previous works had, such as ‘Divenire’ or even ‘Le Onde’. For me, my favourite had always been ‘Divenire’, as it found a perfect balance between classical compositions and ambient music. For me, Einaudi’s music has always been leaning more towards the classical end of the spectrum, and on this album it appears that this isn’t any different. The album is full of beautiful piano compositions, often backed by gorgeous string instruments that help lift the music to life. Scattered amongst these songs though are elements of ambient music, which help to give a number of the songs more depth, and sound much more darker than his previous work. It is an effort that Einaudi tried on his previous album, but I feel that this time round he has managed to pull it off. Although the album is enjoyable, I still do have some reservations about the style of music Einaudi is starting to include in his new albums. It seems to me that the best of Einaudi is when he is playing the piano on his own, and is is accompanied by just the simplest of string instruments. Whilst the denser songs, which are filled up with both string instruments and ambient effects are still good to listen too, it just doesn’t feel as strong as the more simpler songs. Even on my favourite of Einaudi’s albums ‘Divenire’, I found this to be the case, which was an album that also showcased ambient effects (especially in the opening track, ‘Uno’). However, this doesn’t mean that this album is any weaker as a full album. If anything, it is arguably one of Einaudi’s better albums. Overall, I am very pleased by this album. Although at times it moves away from the more classical elements that made up some of Einaudi’s best known works, it is still a great effort, and if anything, just shows us that he is a composer who is willing to try new things. I can’t help but feel that anyone working in the classical genre of music could easily end up just repeating the same type of songs over and over again. By trying new things, Einaudi is simply allowing himself to not go stale, which is a highly admirable quality in any musician, and on this album it is an effort that has worked well for him.